LeBron wore this outfit on Christmas. LeBron James, seen above wearing an amazing shirt, and the Heat squared off with the Lakers in Los Angeles on Christmas Day. LeBron, however, went out of his way to share a special moment with Kobe during a break in the action. Get your tissues ready. This was pretty special. ”It’s not as special when Kobe’s not out there,” James said after the game. There were some other special moments from this game, too. 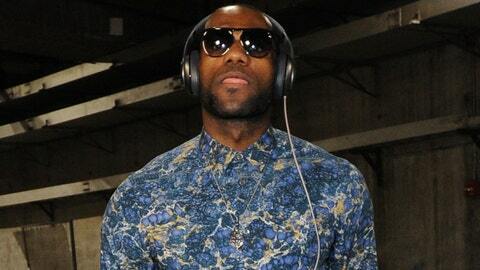 First, of course, is the outfit that LeBron wore.